in times of cultural upheaval and national insecurity. Much has changed in the nearly six-and-one-half years since the Third Peril struck at the very heart of America. A new worldview has the president taking the USA in a different direction. Imagine a surprising paradigm for a counter-culture movement. People are supporting nationalism over globalism, espousing freedom of religion instead of political correctness, advocating for truth and justice over victimhood. It's an upside down world. What was formerly the moral majority—those who value faith, liberty, self determination, and justice—is now in the minority and fighting for their rights. In The Third Woe, a small cadre of people are beginning to rethink all the "progress" that has been foisted upon the populace since the war. But, which vision for America will prevail? 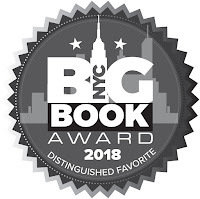 The Third Woe won "Distinguished Favorite" in the 2018 Independent Press Awards for two categories--Fiction and Suspense, and it won "Distinguished Favorite" for Suspense in the NYC Big Book Awards. 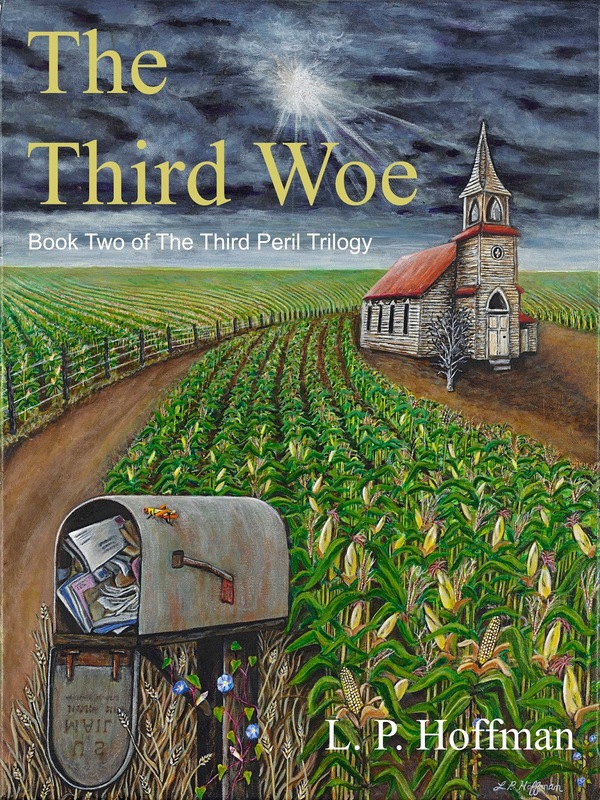 "The Third Woe" is the second volume of author L. P. Hoffman's outstanding 'Third Peril Trilogy' and offers another deftly crafted and riveting novel whose narrative driven storyline could be ripped from today's headlines and our currently polarized electorate. "The Third Woe" is very highly recommended, especially for community library General Fiction collections. It should be noted for personal reading lists that "The Third Woe" is also available in a digital book format (Kindle, $2.99). I received my copy via a Goodreads giveaway. This is a fine, fun 'apocalyptic' story. While the dialog is slightly heavy-handed, the plot carries the characters. The title is part of a trilogy; reading them together is recommended. 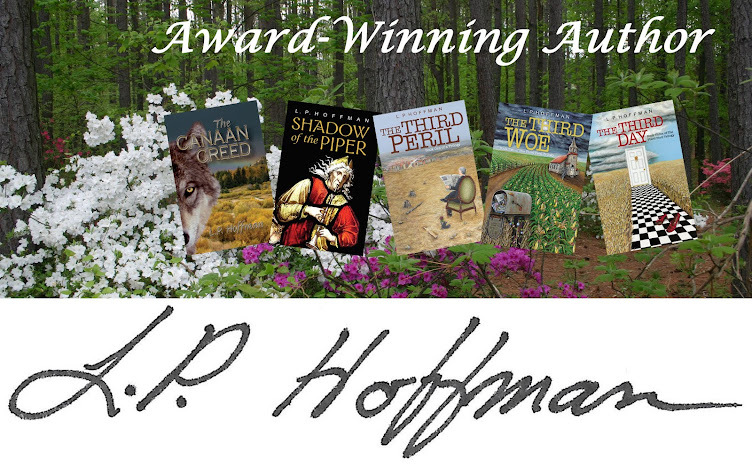 L. P. Hoffman did a masterful job with this story. 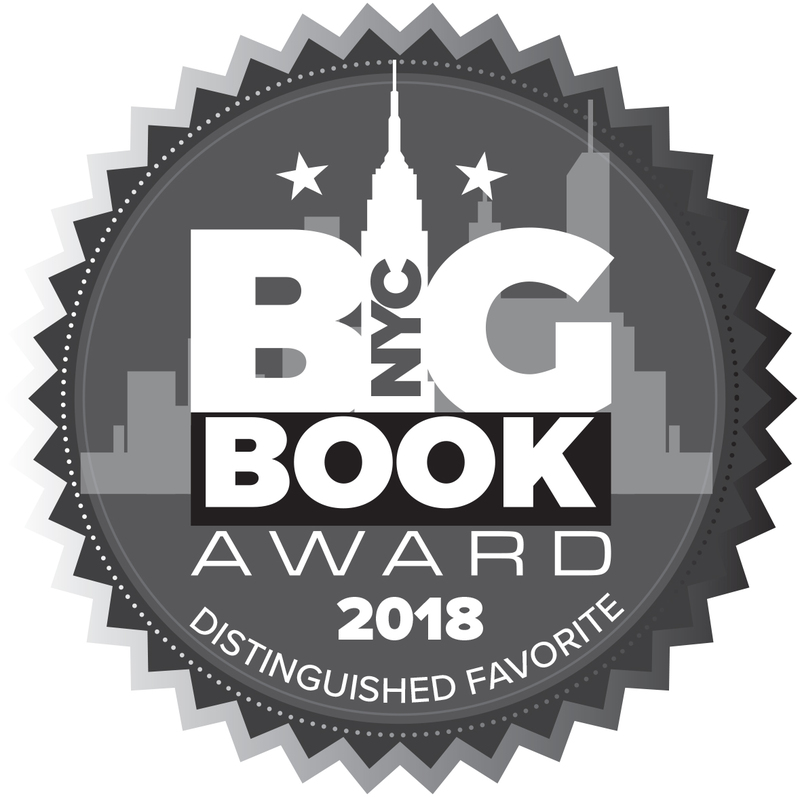 It was thought provoking, and I could not put it down once I started reading it. Could be a harbinger of our future, I heartily recommend this as a welcome addition to any one’s library. I received this book in a Goodreads giveaway. This volume continued the tale LP Hoffman so skill fully started several years ago. Her characterizations are quite believable and her ability to keep you turning the page is excellent. Grab a copy and enjoy! 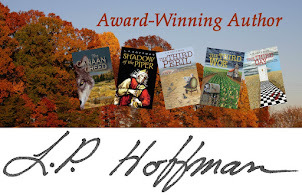 First of all I want to say that I had never heard of L. P. Hoffman but the book looked intriguing so I entered the Goodreads giveaway and won! I also received book one in this trilogy and enjoyed it as well. This book was so well written and interwoven with detailed characters that you are immediately drawn to. This story is scarily close to what is happening, in many ways, in our nation and world today. Ms. Hoffman directs the reader through her story to look to the Truth in a very meaningful and poignant way. I highly recommend this series and more than that highly recommend the reader to seek the Truth in their life in light of the times in which we live. Buy Direct from Hope Springs Media. Buy 4 or more, and Save. Shipping is FREE. Copyright 2017: L. P. Hoffman. Simple theme. Powered by Blogger.